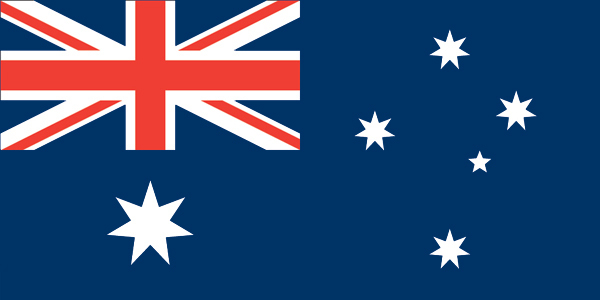 An Oceanian country and a constitutional monarchy with Queen Elizabeth II at its apex, the Commonwealth of Australia is the sixth-largest country in the world by total area. With a GDP per capita of AUD$64,578, Australia is one of the wealthiest developed countries in the world and the world’s 12th largest economy. Australia’s population growth, while at a stable pace, is faster than that of almost any country in the OECD as of 2012, due – according to the Reserve Bank of Australia – an inflow of immigrants who are 10 years younger and most likely to have post-secondary school qualification compared to the average Australian. Australia’s quality of governance is among the best in the world. A wealthy country, Australia derives its income from manufacturing, telecommunications, banking, exports, and minerals and energy such as iron-ore, gold, liquefied natural gas and coal. It is a major exporter of agricultural products and the world’s fourth largest exporter of wine. Education also plays a significant role in the country’s GDP contribution. Australia was identified by the Credit Suisse Research Institute as the nation with the highest median wealth in the world and second-highest average wealth per adult in 2013. Autralia’s GDP was worth US$1560.6 billion in 2013, its all-time high since 1960 (Figure 1). Australia also has a relatively low rate of poverty. Australia ranks among the top 10 places in the world to set up a business according to the World Bank Doing Business 2014Report. More than 18,000 foreign companies are registered in Australia, including 18 of the top 20 Fortune Global 500 and eight of the top 10 Fortune 100. 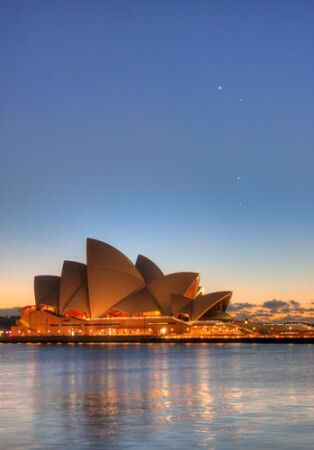 Australia’s major cities have fared well in global comparative liveability surveys. Australia was ranked the world’s most liveable country in the Economic Intelligence Unit’s (EIU) Global Liveability 2014 rankings, with Melbourne, Adelaide, Sydney and Perth in the 1st, 5th, 7th and 9th spots respectively. Brisbane, Melbourne and Sydney have fared well in the Top 20 rankings of Monocle’s Quality of Life 2014 Survey. The country’s strong position is cemented by its stable economic growth and ideal living conditions. The OECD Better Life Index 2014 reports that Australia performed very well in many measures of well-being (outperforming the OECD average), thus ranking among the top countries in a large number of topics within the Index. Unsurprising then, that Australia’s stable economic growth, standard of living and population growth have impacted the real estate market, despite the country having among the highest house prices and household debt levels in the world. The increasing population and declining household size will generate demand for an additional 620,000 households before 2030, thus continue to push property prices up. In spite of restrictions imposed on foreign investors, investment in real estate makes up the largest proportion of foreign investment in Australia, with approved investment in real estate being $51.9billion (2012-2013) according to Australia Broker Online. This comprises $17.15 billion invested into residential property and $34.75 billion invested into commercial real estate. The latest data from the NAB Quarterly Residential Property Survey: Q2 2014 show that foreign buyer market share in new dwellings fell from a high of 13.9% in Q1 to 10.2% in Q2 as foreign buyers have been less active in the market for existing properties. First home buyers on the other hand, were more active in the market for existing properties, making up 18.5% of total demand, an increase from 16.8% in Q1. Nonetheless, the overall forecast for house prices in 2015 – on the back of low interest rates and predictions of more cuts in the coming months – has been favourable. The Financial Review reports that property prices are expected to rise further in 2015 despite capital gains slowdown. The Australian has reported a greater gulf in Australia’s house prices, with Melbourne and Sydney starting the year strong. Melbourne’s house prices increased 2.7% in January while Sydney’s rose 1.4%, and Brisbane’s increase was a marginal 0.6%. Investors are facing lower returns in the two major capitals on the back of strong price growth with Melbourne’s gross rental yields for houses the lowest at 3.2%.